Back in 2016, Robinson et al. 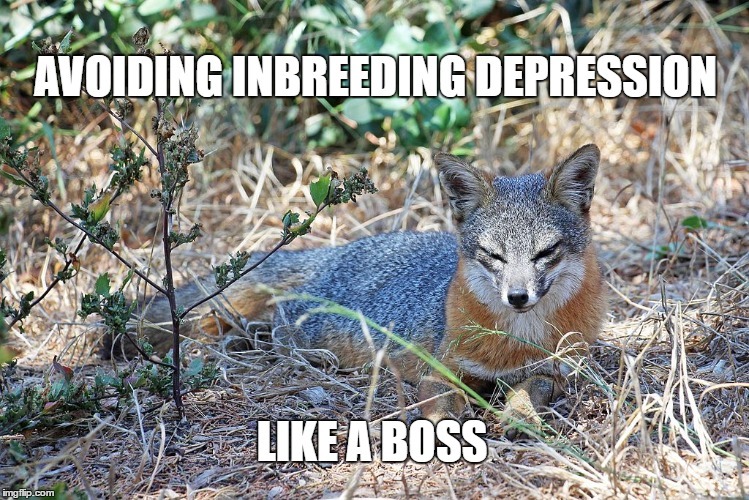 (2016) published a genomic analyses of the Channel Island foxes and they showed that despite extremely low genome-wide diversity, the island foxes do not seem to be suffering from inbreeding depression. Read the post ‘What does the island fox say?’ summarizing this paper. Most notably, their results question the general validity of the small population paradigm. One of the principal hypotheses in conservation genetics predicts that small populations are more vulnerable to stochastic extinction factors including the genetic processes of inbreeding and genetic drift. As a result, small populations are expected to be more likely to end up in an ‘extinction vortex’ and suffer from mutational meltdown and loss of adaptive potential, which compromise their chances of long-term survival. Although the island foxes do have drastically reduced genetic variation and increased genetic load, they seem to be surviving just fine. How is it possible? Does it mean that genomic erosion is not a direct path to extinction? In a follow-up study by the same group of people, Robinson et al. (2018) sequenced the same six island populations, but this time from samples collected in 2000s following a recorded bottleneck and recovery thanks to human management. 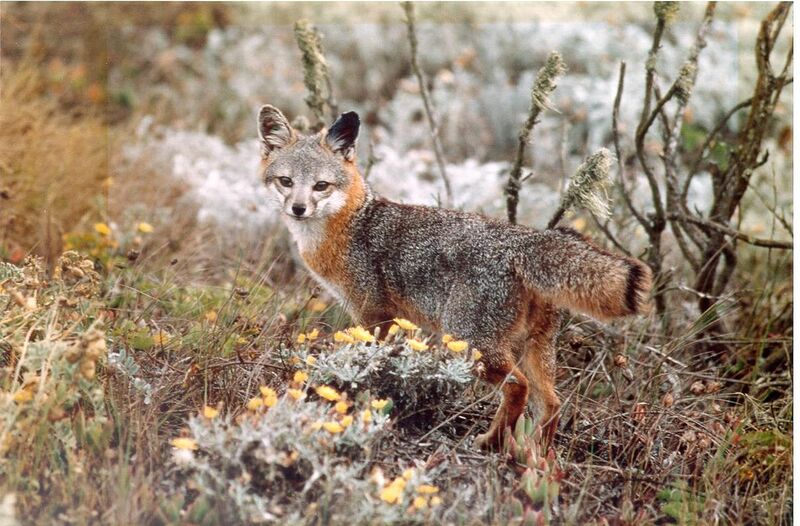 Additionally, a second genome of a mainland gray fox was sequenced and a 1929 island fox from the San Nicolas population, which has the most extreme low genomic diversity. Overall, they found out that there is not much difference between the pre-bottleneck populations sampled in 1988 and post-bottleneck populations in 2000s. 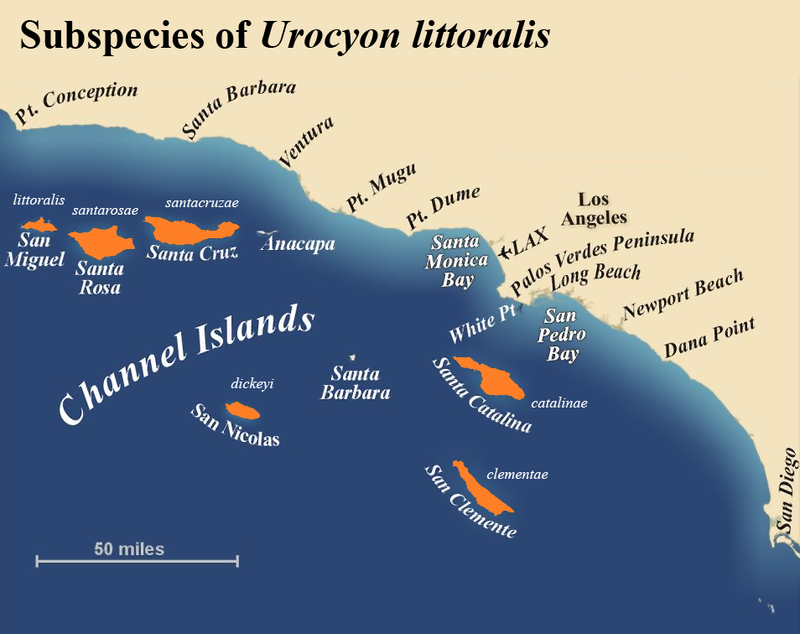 Moreover, there is very little difference between the San Nicolas island fox sampled in 1929, 1988, and 2000s, indicating that the low genome-wide diversity is not caused by a bottleneck in the recent population history. To explore whether the pattern of genomic variation is caused by demography or selection, Robinson et al. looked at peaks of heterozygosity in the four genomes of San Nicolas island foxes (1929, 2x 1988, and 2000), and they found that only 43.9% are shared by at least two individuals, with the 1929 fox being the most divergent. Coalescent simulations confirmed that the pattern can be explained purely by demographic processes. Interestingly, ~40-50% of the heterozygosity peaks in San Nicolas foxes overlap olfactory receptor genes. These are also enriched in the mainland gray fox and are known to be generally variable in mammals, so Robinson et al. suggest that because of the high initial variation, the olfactory receptor genes may be among the last to loose diversity. This might be particularly interesting in comparison to other populations on the verge of extinction, for example Rogers and Slatkin (2017) reported loss-of-function mutations in a large number of olfactory receptors in one of the very last woolly mammoths. To assess the extent of inbreeding depression, Robinson and colleagues looked at skulls and complete skeletons of foxes sampled between 1929 and 2013 from all island and the mainland populations. They only found seven foxes with developmental pathologies out of 119 foxes examined. The authors performed forward simulations to test if purging of strongly deleterious recessive mutations in the island populations can be responsible for the absence of inbreeding depression. The results of the simulations vary depending on the dominance regime and selection coefficient. But overall, under the additive regime the island genomes show accumulation of weakly and moderately deleterious alleles, leading to a total of ~10% more deleterious alleles on the islands. In the meantime, under the recessive regime the island genomes have way less moderately (by 37.1%) and strongly deleterious (by 67.6%) recessive alleles, indicating that these hide in large population and get purged in small populations. This is an interesting thought that desires further exploration now that population genomic data of wild populations are becoming available. The extent of bottleneck or size of founding population might determine the later fate of a population. For example, Wrangel Island mammoths might have been actually unlucky to bottleneck from a large outbred population where strongly and moderately deleterious mutations were hiding in the recessive state. Similarly as in the Isle Royal wolves that are very well on their path to extinction (Hedrick et al. 2016). This entry was posted in conservation, evolution, genomics, population genetics and tagged genetic drift, Heterozygosity, inbreeding depression, purging. Bookmark the permalink.